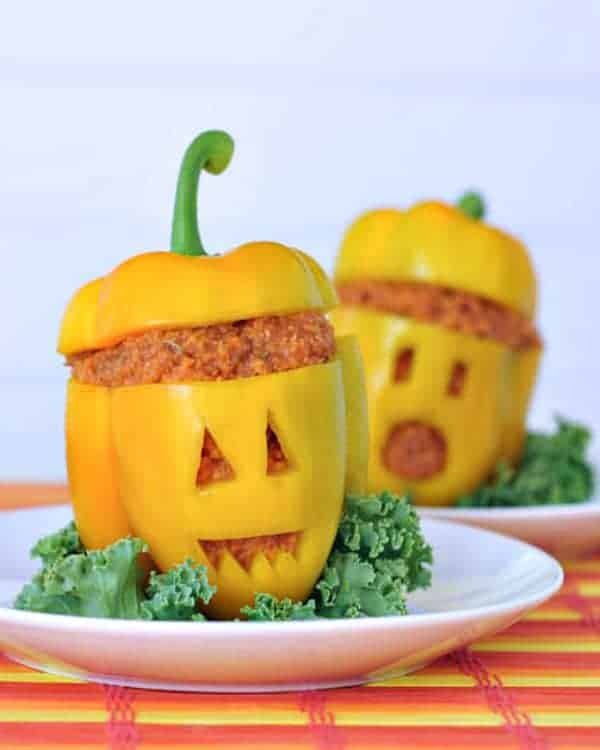 Want some tasty and fun vegan Halloween recipes? I got you covered! I’m sharing my favorite spooky vegan Halloween treats! Halloween can be a more difficult holiday than others if you’re vegan. All around us, there’s milk chocolate, caramel, and other non-vegan treats. I hope these fun Halloween recipes help you celebrate a very vegan Halloween! 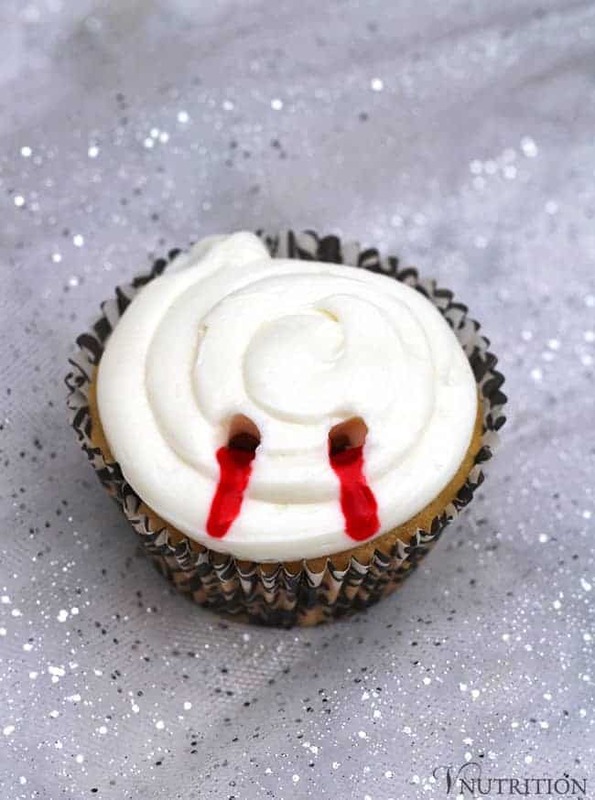 These Vampire Bite Cupcakes are perfect for Halloween or watching your favorite scary movies! They’re also filled with strawberry jam to scare everyone that takes a bite! It’s my favorite vegan Halloween treat! 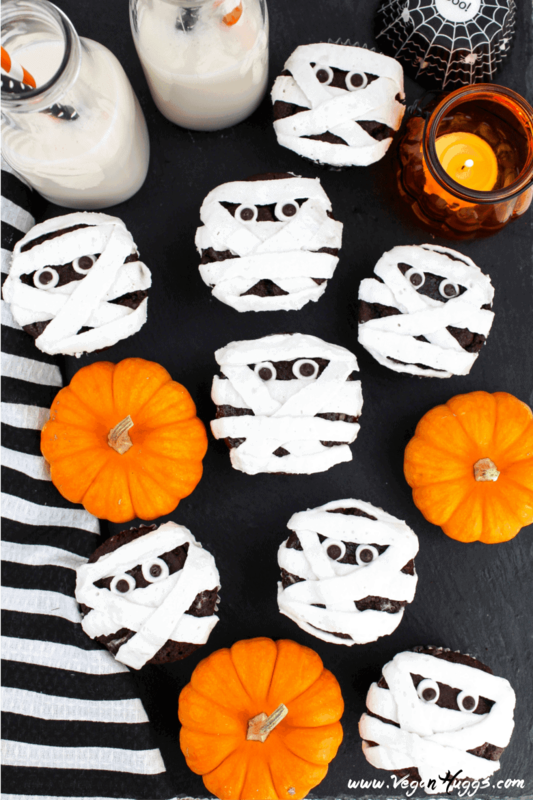 These vegan Mummy Cupcakes would be a hit at your next Halloween bash. They are kid-friendly & completely adorable. Also, they are gluten-free, chemical-free and delicious! These Jack Skellington Mounds Cups are gluten free, vegan, and a spooktacular 4-ingredient recipe inspired by The Nightmare Before Christmas. 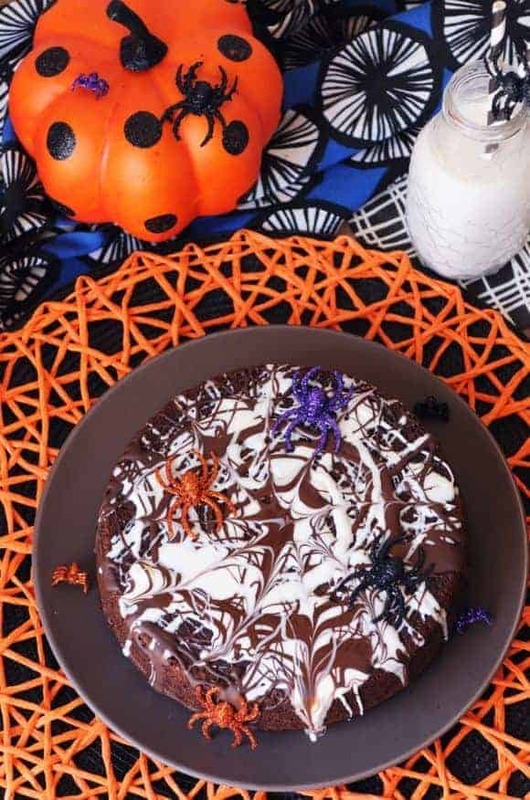 This festive Halloween cake is drizzled with white chocolate in a spider web design and top with a few plastic spiders to give it a spooky feel. Yum! 5. 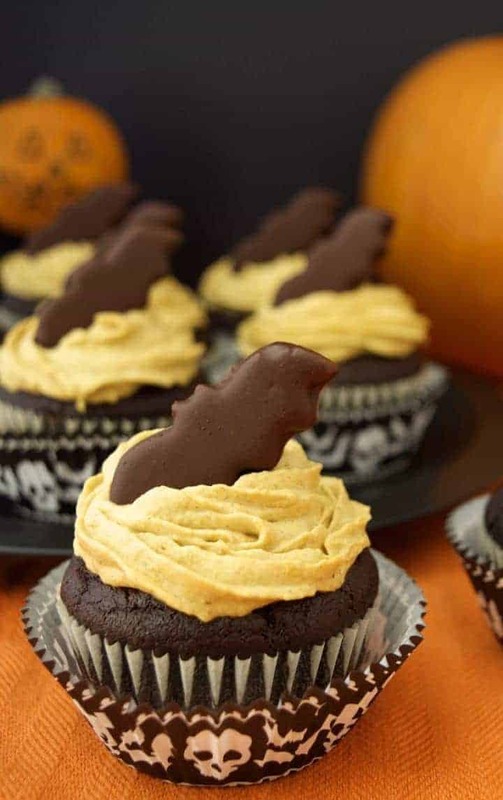 Pumpkin Frosting Chocolate Cupcakes with Bat Bites – Where do You get Your Protein? These Pumpkin Frosted Chocolate Cupcakes with Bat Bites are a healthier, vegan halloween-inspired dessert. The pumpkin spiced frosting is made from whipped coconut cream and real pumpkin purée! English Muffin Pizzas are easy to make and fun to eat. For Halloween, I like to get into the holiday spirit and make mini mummy pizzas. They are just so cute, plus they are vegan and gluten free! 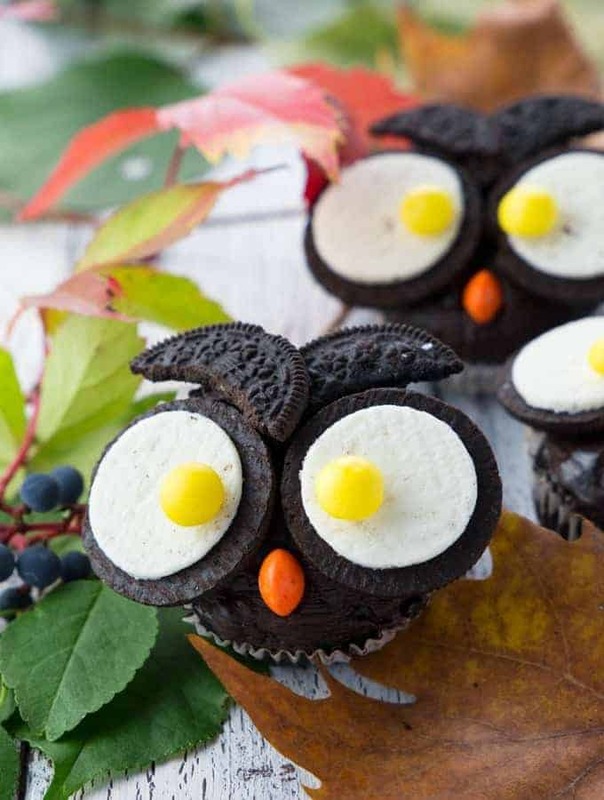 These Halloween owl cupcakes are super adorable! 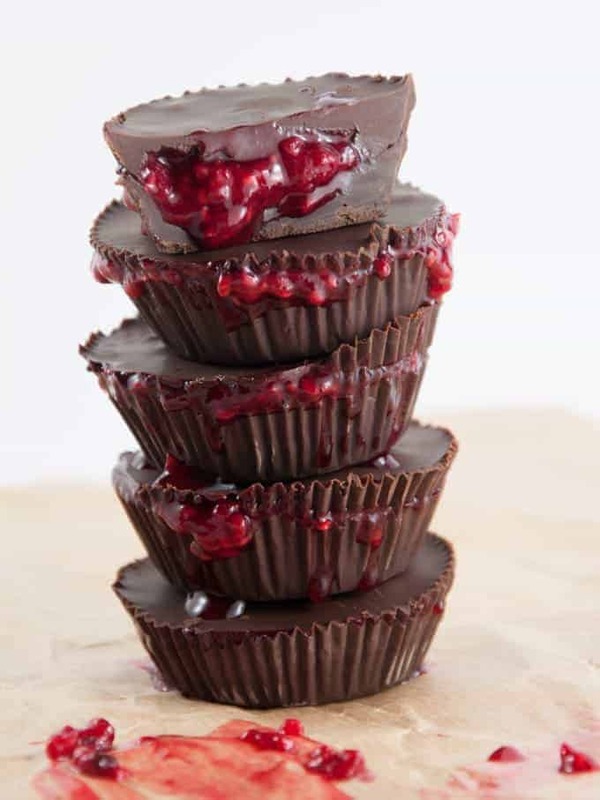 Plus, they’re vegan, incredibly chocolatey, and pretty easy to make! 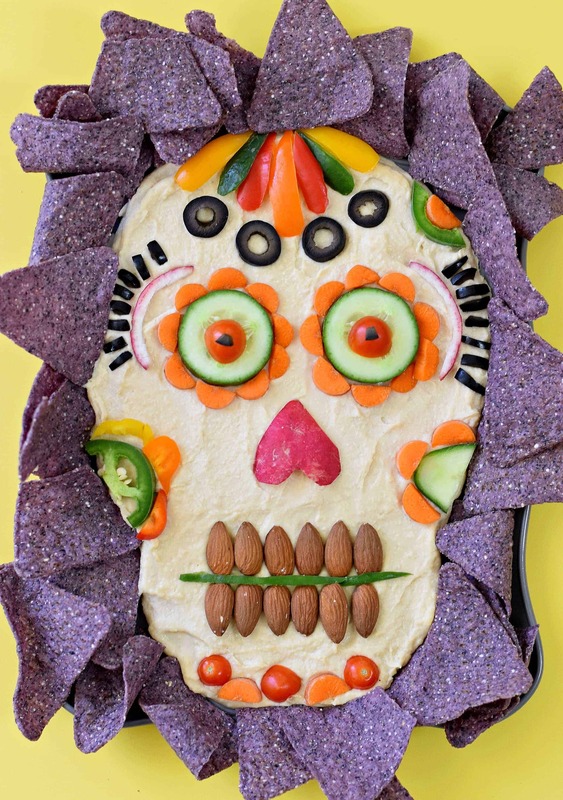 This dip would be a hit for your next Halloween party. Guests would be so impressed by how cute it is…PLUS it’s healthy too! With only 7 ingredients and one bowl, these cookies are only 30 minutes from being in your tummy. They’re chocolatey, with a subtle hint of orange, and not too sweet, but a treat to eat, especially with a little vegan royal icing! 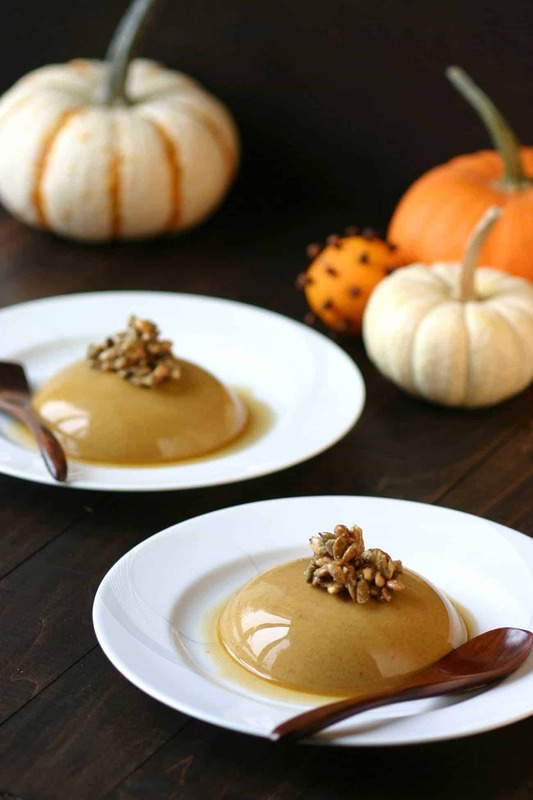 This pumpkin panna cotta is silky, delicate, and yes, vegan! Perfect for a festive Halloween or autumn treat. 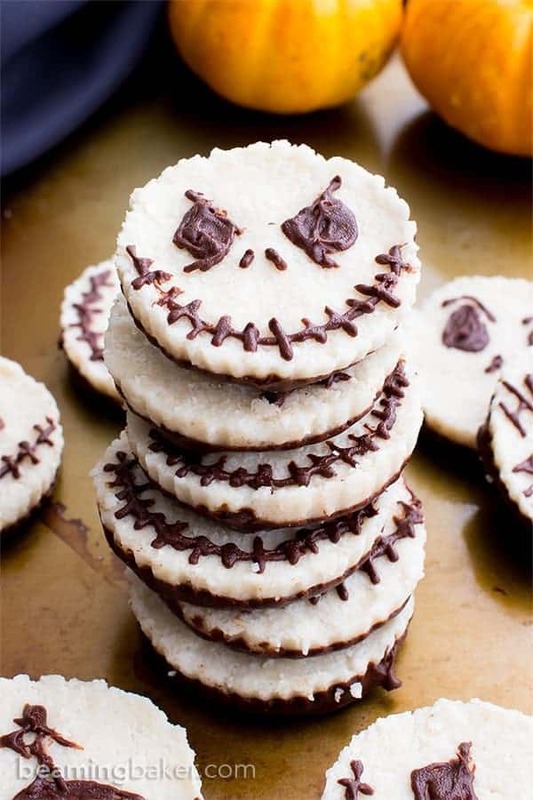 Who says you can’t enjoy a healthy treat while celebrating one of the best holidays of the year, Halloween? 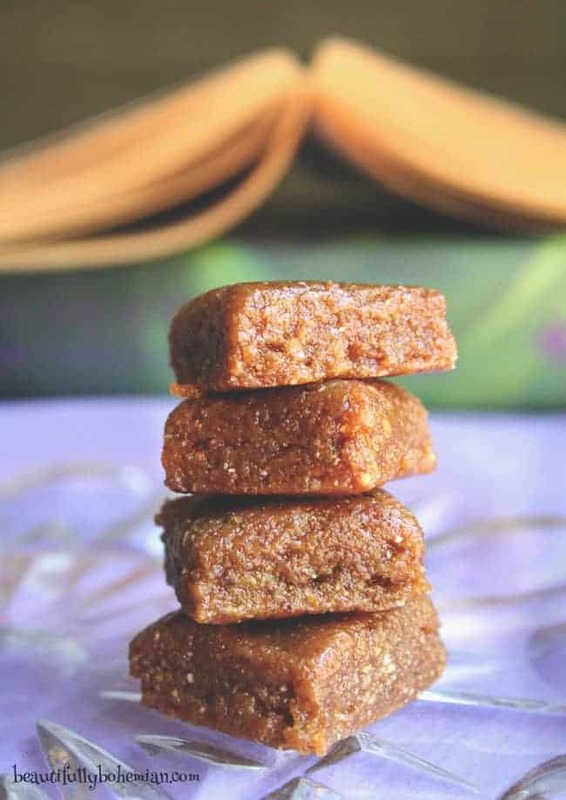 This Healthy Vegan Treacle Fudge inspired by the Harry Potter books is cruelty-free, gluten-free, and void of all those pesky dyes and preservatives- making you guilt-free while you munch! 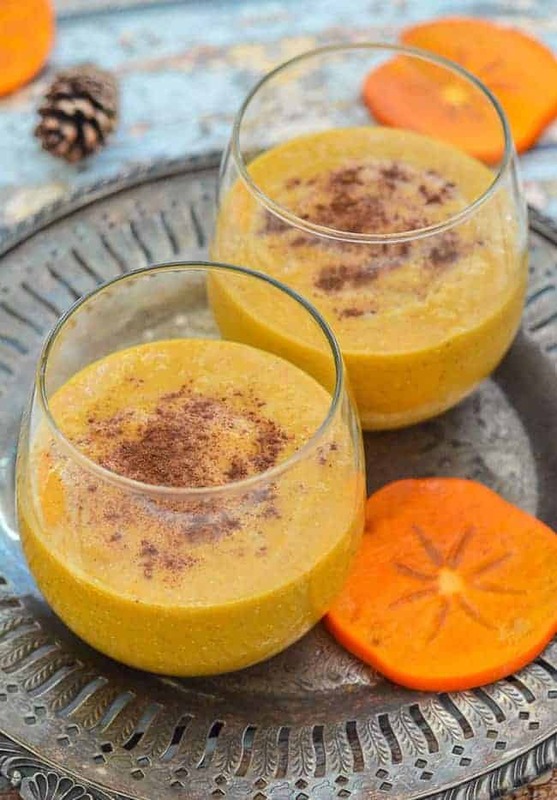 This Persimmon Cinnamon Smoothie is quick & easy to make, naturally gluten-free, and full of warming cinnamon & delicious sweet flavors that remind me of Halloween! These copycat Almond Joy Candy Bars taste exactly like the original but totally vegan! 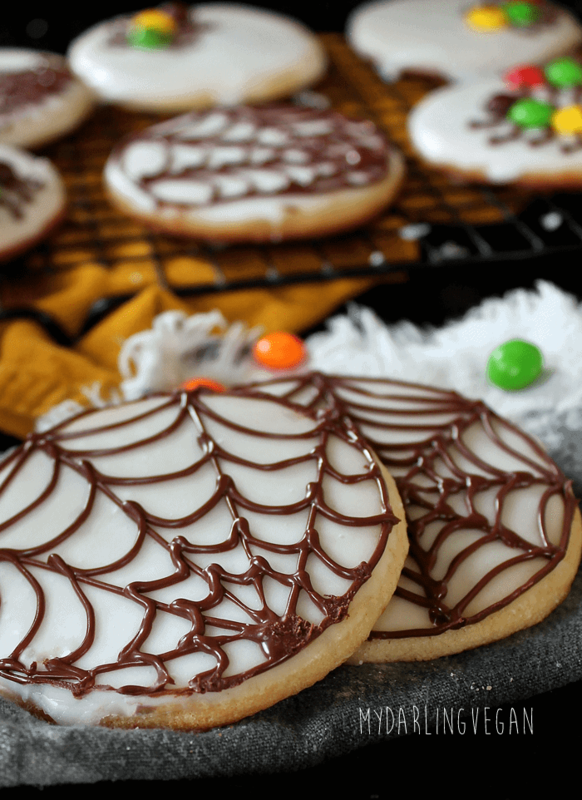 They’re easy to make and fully of Halloween goodness! 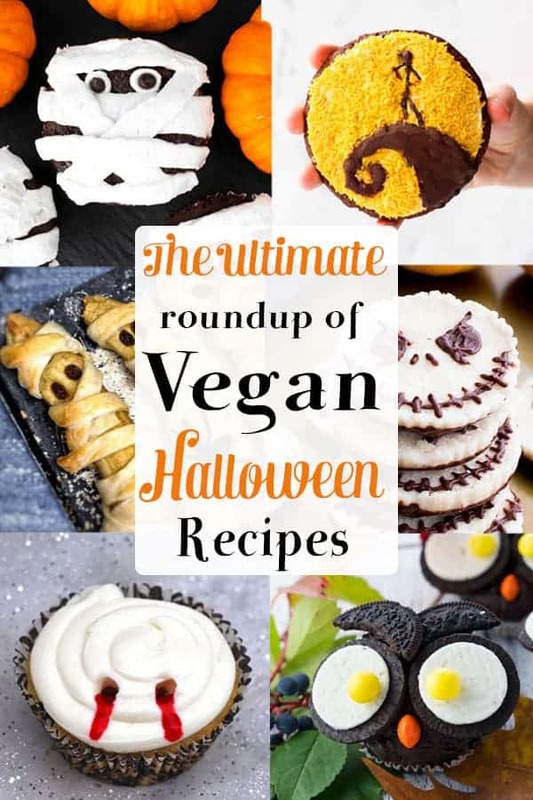 How can do a roundup of vegan halloween recipes without an entree? These Stuffed Pepper Jacks are famous – they quickly went viral with the help of PeeWee Herman! 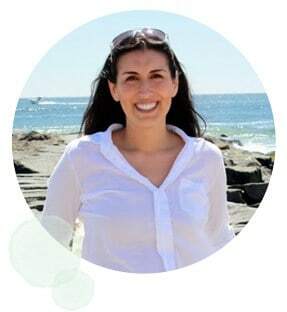 Kristina has a number of pepper jack recipes so be sure to check them out this Halloween! 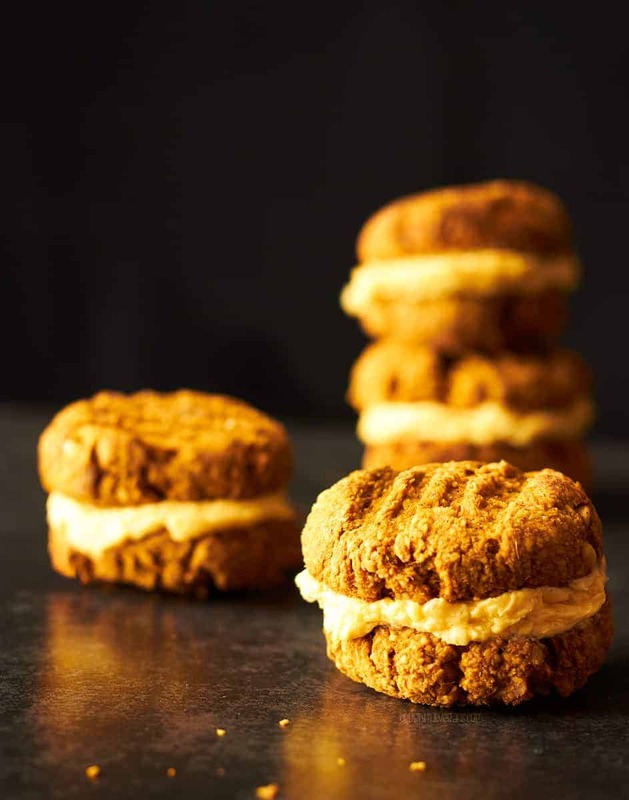 Spice up your Halloween with these Gluten Free Peanut Pumpkin Spice Yo-Yo Cookies! You won’t regret making a batch of these! 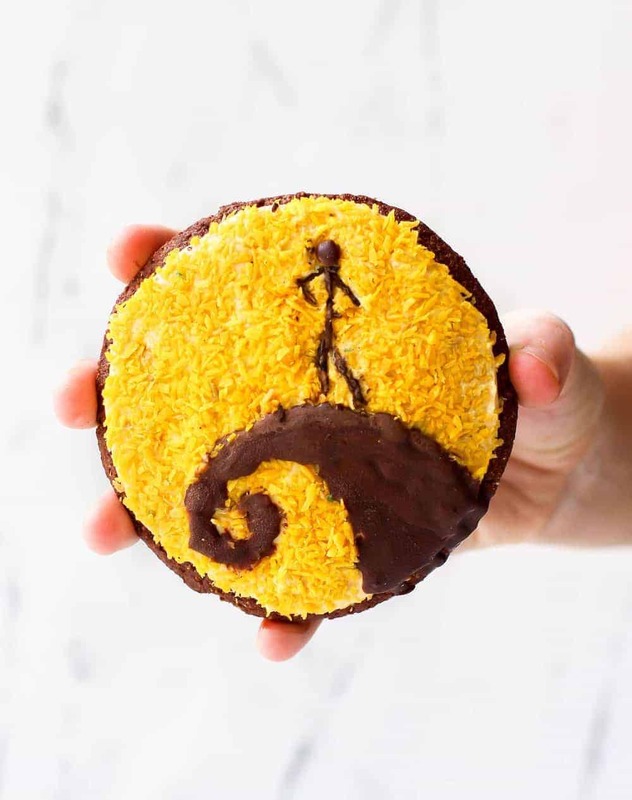 These beautiful cookies are inspired by the movie A Nightmare Before Christmas. They’re like a work of art that would be a hit at any Halloween party! 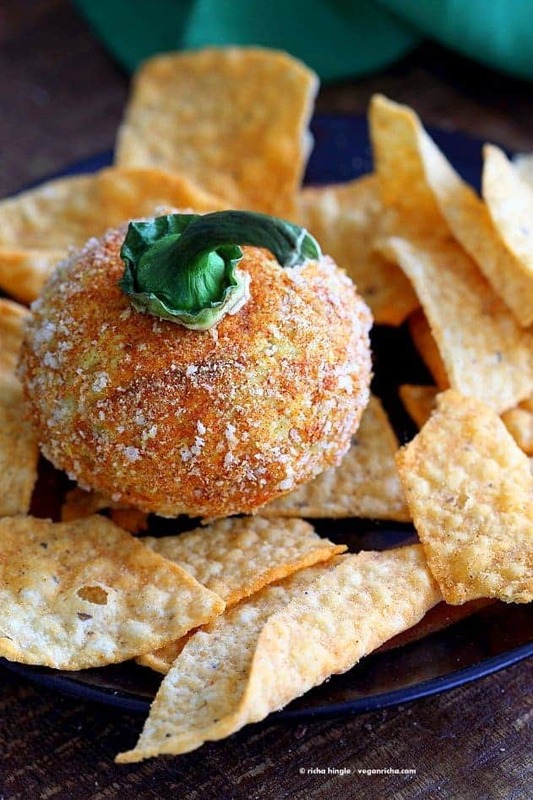 This super easy Cheddar Cheese ball is shaped into a pumpkin for Halloween. It’s nut-free, allergy friendly and fabulous! These mummied bananas are an easy and healthy dessert with just 3 ingredients (and 2 of the ingredients are fruit!). And it’s something the kids can make too! Want more vegan Halloween recipes ? 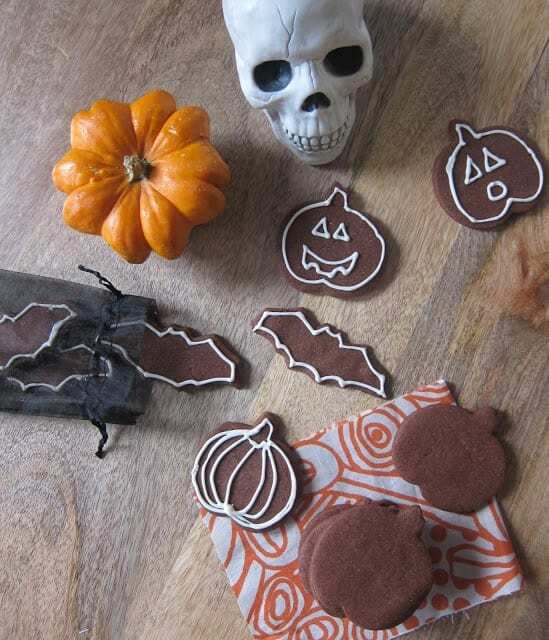 Check out my Vegan Halloween Pinterest Board! Like the roundup? It would be wonderful if you could give it some love by sharing! Oh my gosh, so many delicious treats here. We need a week of Halloween, so I can eat them all! Yes, I’m going to have to start right now! What a fun collection of recipes!! I love how festive they all are. Tweeted and pinned for you! So much fun recipe inspiration here, thanks! Thanks Christine! 🙂 Love all the fun creations that blogger come up with! This is so much fun!! Thank you for including my cookie and I can’t wait to share? Thanks so much for sharing Natalie! Your cookie is so awesome! I love the Nightmare before Christmas! 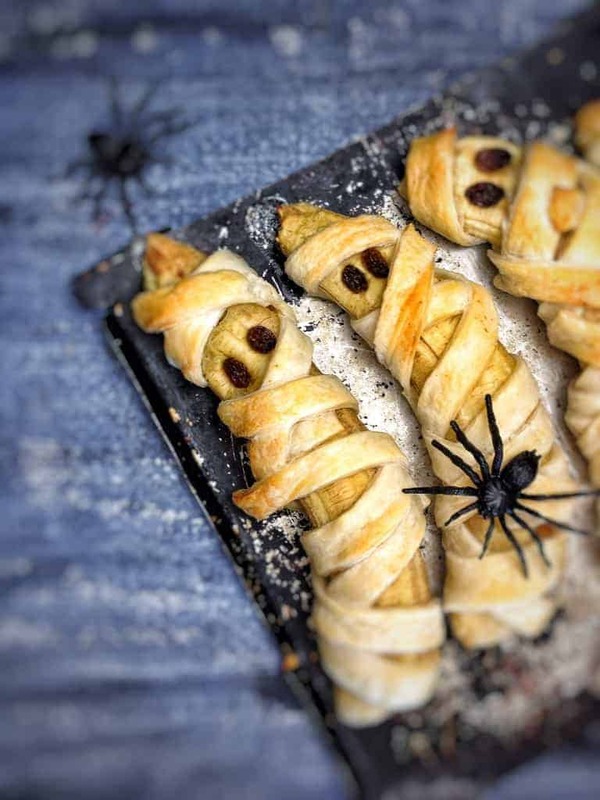 What a great collection of fun Halloween recipes! Thank you for including my Mummy Pizzas! 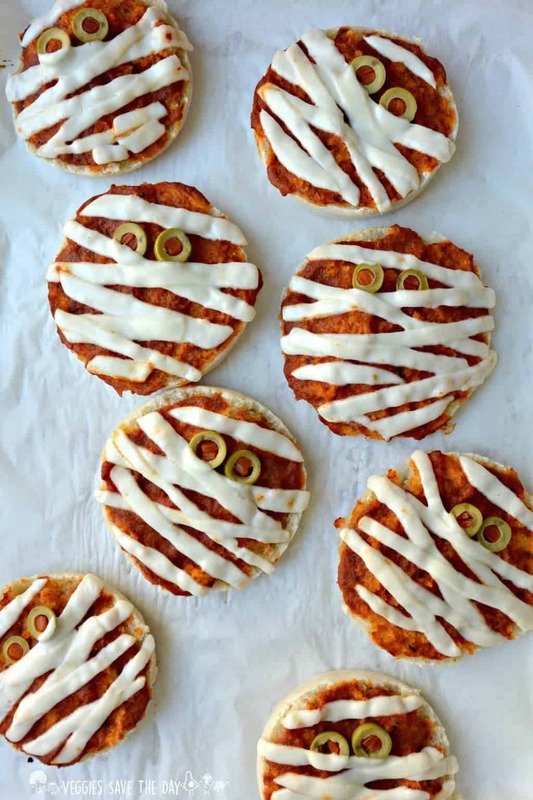 Your mummy pizzas looks so delicious and perfect for Halloween! No problem girl! Your pumpkin cartwheels look delicious! I know, some people really stepped up their game with these treats! They all look so good! Thanks so much Demeter! Vegan treats are much more available than then used to be. 🙂 Your Jack Skellington cups are so cute! I saw them before and loved them so I was hoping you’d want them in the roundup! Thanks so much Melissa! And I’m glad your son liked them too! Your mummy cupcakes are amazing! Such a fun collection of recipes! This is a lovely round up of recipes. So many fun ideas! What a great roundup, Mary Ellen! 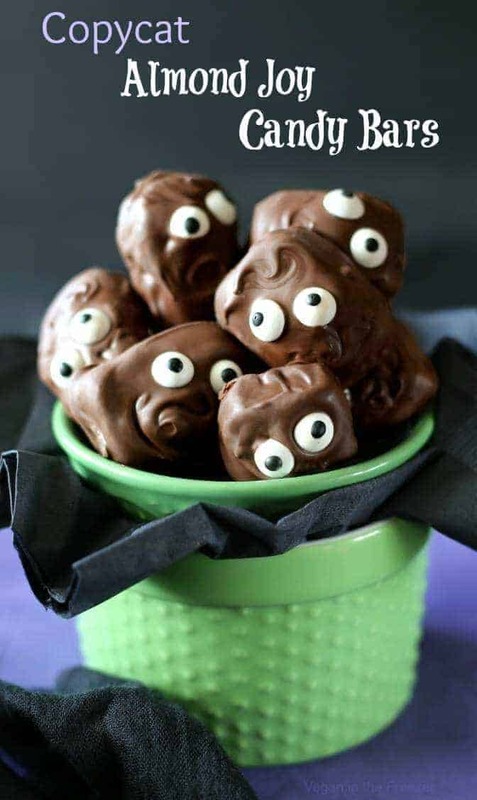 There’s so many spooky fun Halloween recipes in one place, and they all look so delicious! Thanks so much for including my pumpkin frosted chocolate cupcakes! Definitely sharing and pinning! Thanks Marlene! I can’t wait to try your pumpkin cupcakes! They look so tasty! This is a super roundup! I will be referring back to this often. Everything here is just so cute—I can’t decide what to make first! Thanks for including my Pumpkin Cake! This round-up is seriously adorable!! Your vampire cupcakes are really calling my name. Thanks for including my ghosts! Thanks Cadry! Your ghosts are perfect for Halloween or Christmas! My problem is that I can’t decide which ones to make, so I guess I’m going to have to try them all. It’s a tough life, I know. LOL, I hear you Beth! People are so creative! What a fun round up Mary Ellen! Thanks so much for including our cookies. Can’t wait to try some of these spooky recipes!! You’re cookies look so tasty Katie! Everythng is so fab, I will def. try some of these out and have def.been inspired. Just gutted I missed up linking with my gratin and Orange Pasta Bake – I am linking this blog post to my most recentl Halloween Post, hope that is okay with you.